We have often heard of the minimalist interior design where the mantra is “less is more”. A minimalist design theory pretty much revolves around simple and clean lines, limited color palette, barest design elements and the absence of lavish styles. On the other hand, a maximalist design style preaches “less is bore” creed. A maximalist home is always dramatic, sensational and daring but without losing the sense of warmth and welcoming essence. 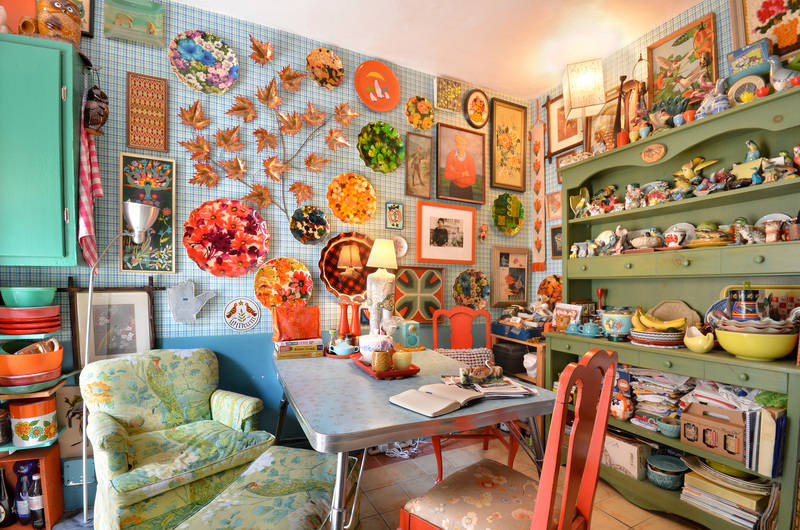 Think eclectic prints, vibrant multi-colored room, open shelving collection display, beguiling wall art gallery and eccentric furniture. Here, I’ve summed up the traits of a maximalist home with some useful tips to create one. Keep scrolling and be amazed! 1. Bold And Bizzare Color Combinations. 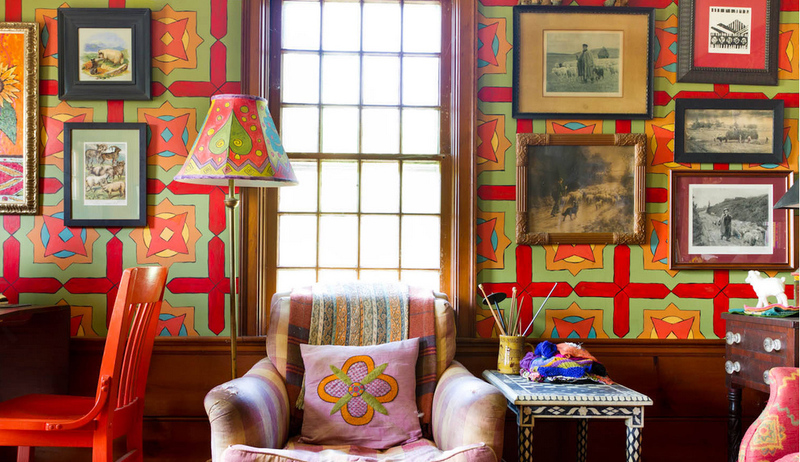 If you’re a maximalist, you can’t just agree to one color palette when it comes to home interior design. More is always the better. Instead of limiting yourself to only one color palette and surrender yourself to the rules of the color wheel, be bold and creative by experimenting with a wide spectrum of colors for your walls, furniture, and accessories. Play with striking colors like deep rich jewel tones for your walls and add some patterns on it to create a maximum visual impact. Opt for an exotic and vibrant types of furniture such as a jazzy sofa and multi-colored standing lamp for a touch of countryside vibes. 2. Master The Art Of Mixing. Add a sense of ubiquitous to your living room with different textures, patterns and wall arts for an aesthetically appealing maximalist home interior. One of the traits of a maximalist decor style is having the guts to mixing everything together without looking like a chaotic mess. 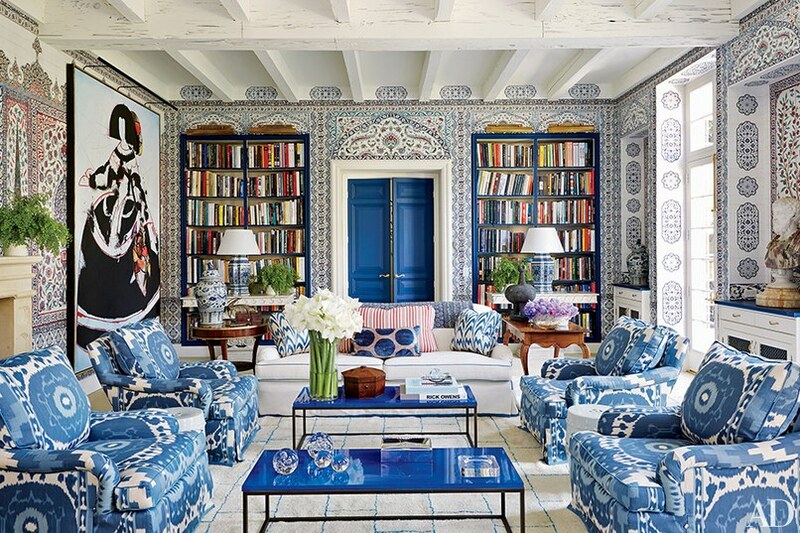 A built-in bookshelf that blends into the unique wallpaper with intricate motifs, a grand double prehung door in a deep blue shade, some tribal-printed blue sofas, and a gigantic Japanese art on the wall – everything is well-mixed and visually pleasing to the eyes. 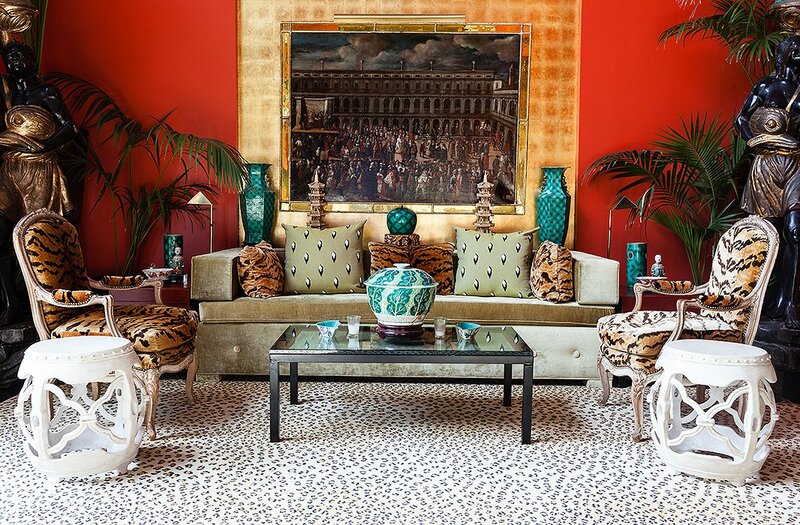 Animal prints are everywhere in a maximalist home, and there can’t be just one animal print to express the sense of maximalist and eclectic spirit. The most common way to incorporate animal prints into your home space is no doubt the animal printed rug, but for a maximalist, the mantra will always be “more is more”. There are some rules that you need to follow so that it won’t turn out to be like an African safari. The easiest tip to mixing animal prints would be choosing which items to be the center of attention. For instance, using large tiger stripes for side chairs and throw pillows is a great place to start with. Then, balance out the boldness of the large print with a small scaled leopard print rug. Take a stroll down memory lane when you visit a maximalist home because there is a 99.99% chance of seeing an enthralling collection display in the living room or the kitchen room. Indeed, maximalists have the propensity to be a collector of one or more items, be it kitchen ware, miniatures, or antiques. And each of these particular items has special memories attached to it, which makes the display so personal and idiosyncratic. Nothing beats the joy of seeing your own collection being displayed on a beautiful open shelving cabinets that brings so much joy and reminiscence. Embrace your artistic side by adding a playful twist to your home space with some tacky pop culture arts. An iconic pop art is a great way to liven up your home space with an extra dash of vibrant colors and personality. For instance, this sophisticated bedroom interior had used two shades of blue and one of orchid paper sheets to filled up the bedroom wall. A few picture frames are hung on the paper sheet wall to add extra depth to the bedroom. 6. Don’t Let A White Wall Goes To Waste. A maximalist tends to see a white wall as the missed opportunity. Hence, they feel obliged to fill the empty walls with tons of intrigue arts and unique objects to express their sense of maximalism. 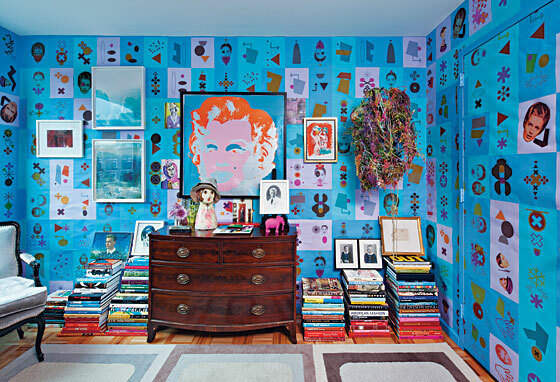 If you’re going to try out this maximalist decor style, the key is to have fun and be creative. 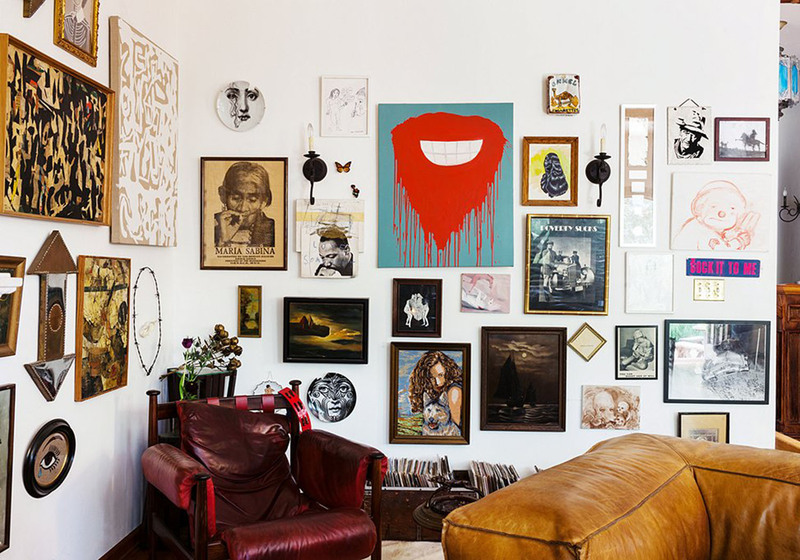 Cover your empty walls with a wide range of eclectic arts and found objects from the floor high up to the ceiling. That’s all for today’s home decor topic and I hope you found it interesting and informative. Are you a maximalist or a minimalist? 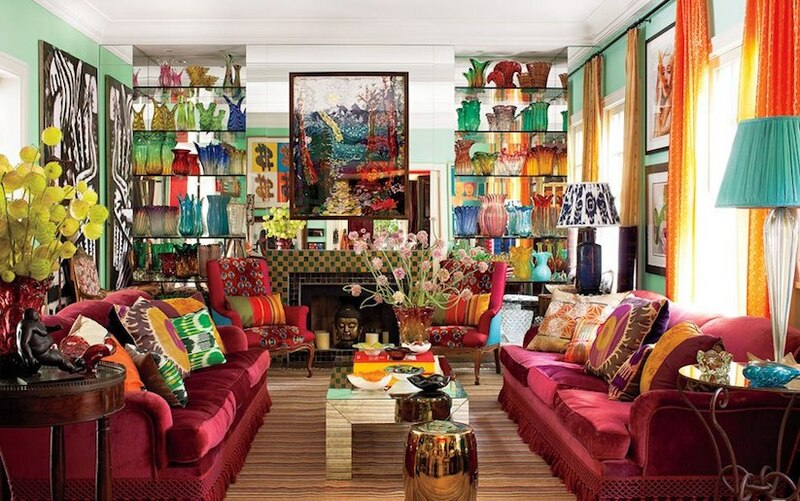 Share your thoughts with us about the maximalist home decor because we’d love to hear from you!